Frontpoint vs ADT: Which is Better? Frontpoint is a best all-around home security system. How does it compare to ADT? Read our comparison chart below. Frontpoint has been a solid customer favorite due to its customer service. Plans start at $34.99/month for basic protection to $49.99/month for home automation services. All plans support 100% wireless and cellular monitoring with 24/7 monitoring (for burglary, fire, carbon monoxide, and water damage). This system is DIY so there is no installation fee. Frontpoint offers either a 1-year or 3-year contract. If you only want to try it out for 1 year, you must pay an upfront equipment cost of either at least $99 for the lowest tier, or $199 for the highest two tiers. With a 3 year contract, you will get a $300 equipment credit. Frontpoint offers a 30-day money-back guarantee if you're not happy with the system. While ADT is the oldest and most popular name in home security. Plans start at $28.99/month for the most basic protection to $58.99/month for video monitoring and home automation. Note that the base plan only comes with 24/7 burglary monitoring by landline. Cellular monitoring is available at an additional cost. Fire/smoke, carbon monoxide and flood monitoring equipment are also extra costs. You only get the option of professional installation with ADT, which means that you'll usually have to pay for the labor that comes with that. There is a 3-year contract and a 6-month money-back guarantee, but only if there is an equipment or service problem that ADT can't solve. Compare Frontpoint with ADT, side-by-side. Read on for an in-depth look, including ratings, reviews, pros and cons. Plans start from $34.99/month to $49.99/month. All plans offer 100% wireless and cellular system with 24/7 professional monitoring. $49.99 Ultimate Plan supports video streaming, automated door locks, and advanced thermostat control. Plans start from $28.99/month to $58.99/month. All plans include 24/7 monitoring for burglary. Monday to Friday from 8am to 11pm Eastern. Saturday and Sunday from 10am to 6pm Eastern. 24/7 Monitoring. 24/7 customer support and monitoring. Alarm.com mobile app ADT Pulse app allows you to activate alarm, check sensors, watch live video feeds, control lights and appliances, adjust thermostats and view history of home activities. Available on App Store and Google Play. Automate your lights, door locks, and thermostats using Z-Wave technology. ADT Pulse allows you to arm/disarm your house, control your lights and thermostats remotely. Standard control panel includes cellular technology. Optional touch screen control panel upgrade. ADT Pulse touchscreen control panel allows you to know alarm status, arm/disarm your alarm, control lights, check weather, and view live video from security cameras. Also allows you to quickly send an immediate alarm (medical, fire, or police). Supports Z-Wave door locks. ADT Pulse door locks allow you to remotely lock/unlock your door from any internet-connected device. Wireless door sensors. Recessed door sensors available. Garage door sensors available. Wired and wireless door sensors. Wireless door sensors can be installed yourself with no drilling or hardwiring necessary. Which is Better: Frontpoint or ADT? 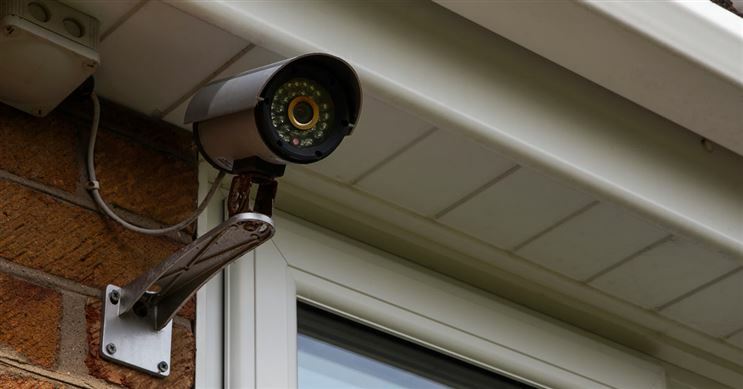 Still need help deciding which home security is better? Read the in-depth reviews below. You may also be interested in comparing Frontpoint or Protect America. In short: Frontpoint's customer service is impressive. ADT's installation and yard sign are excellent. ADT is certainly the most popular name in home security, but is it really the best? Our in-depth review will give insight into its pros and cons. SimpliSafe Review: Is the Security System Good? SimpliSafe has low costs and no contract. But how good is this DIY home security system? Read on for the pros and cons and see how it compares.